Suddenly it's fall outside. Leaves are starting to turn and mornings are chilly. Which makes this breakfast a perfect belly warmer to your autumn morning. I love oatmeal and I love the heartiness of steel cut oats especially. They have a pleasant chew and keep your stomach happy and full until lunchtime. But it's the apples here that get lightly caramelized and soft, that makes this dish so extra special. 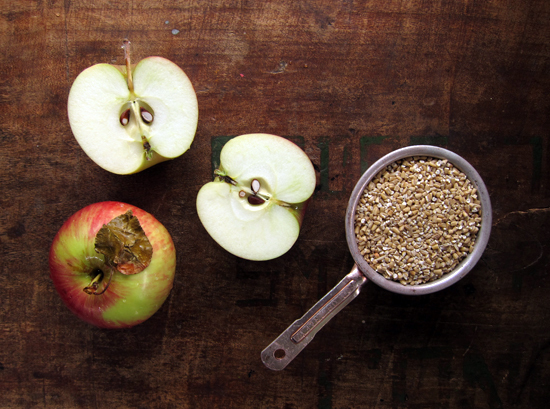 Cinnamon and nutmeg add a nice spice and easily recall the flavours in an apple pie. Top this with your favourite garnishes. 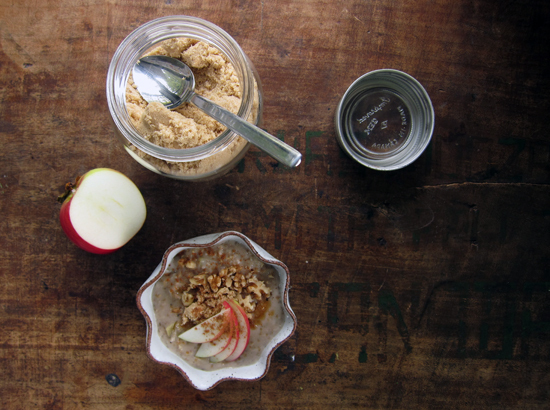 For me, it's fresh apples slices and walnuts for crunch, a spoonful of brown sugar and another sprinkle of cinnamon. 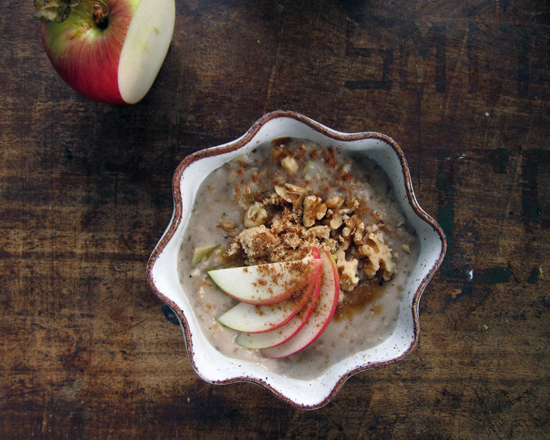 This recipe makes a creamy and loose oatmeal which I think is just perfect. If you like a thicker oatmeal, add in 1 1/2 cups milk instead of 2. Over medium heat in a medium-sized saucepan, melt butter and add in the diced apples and spices. 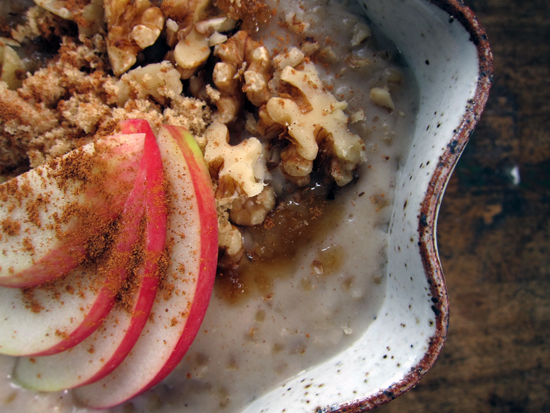 Let the apples soften slightly for about 3-5 minutes and then stir in the steel cut oats and a pinch of salt. Stir everything until well mixed and fragrant, about 3 minutes. Pour in the almond milk and cover, turning down the heat to medium-low and stirring occasionally until oats are tender, about 25-30 minutes. Garnish with your favourite toppings. Makes 2 servings. I love cinnamon! The recipe seems delicious I will definitely try it! 10x! Love this recipe! I've had it several times already since finding it last week. Perfect for Fall :) Thanks for sharing!